Love is the virtue of the Heart. something if you don't act on it. to be the best it can be. appreciate your input & ideas. euthanized in Virginia shelters in 2003. Welcome to CATS RULE! 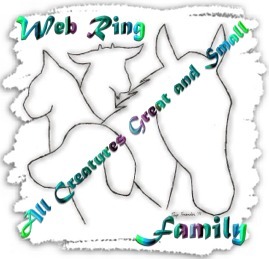 Feline Rescue's old web page. It is very out of date but still has some good info. CR!FR is now a rescue/sanctuary for Feline Leukemia positive cats. We cannot take in new cats/kittens, unless they are FLV+ & are well-socialized (ie: not feral). There is a surrender fee & kittens must have been tested twice. We can still help locally with TNR for ferals by lending out humane traps & providing info/guidance. Some of the items in our shop are still available for sale, such as the Cat & Dog Wreaths, fabric cat dolls, CR!FR Logo T Shirts, Word Cloud frames, several magnet designs, etc. Please check for availability by contacting us through our FaceBook page. CR!FR is 501c3 non-profit – donations are tax deductible, greatly needed & very much appreciated. CATS RULE! Feline Rescue is a small but growing collective of animal lovers, rescuers & friends based in Fairfax, VA. We help animals in need of all kinds, with a focus on feral cats. Please help us help cats! Our rescued cats come from hard circumstances: the streets, the highways, patches of scrubland behind businesses; most are born homeless. Many have medical problems that continue to require treatment. Happily, they are now safe, well-fed, well-cared for & loved. And it shows! Even though we help a lot of animals, there are still thousands that need the intervention of a kind samaritan for their very survival. Not everyone can take in 10 or 20 animals & give them a loving home. But they can help animals by supporting local rescue groups. You can be a part of happy endings! With the support of caring people who share concern & compassion for animals, we can continue to take in animals with no home to go to & no one to care for them. The work of rescuing & providing for homeless animals is a labor of the heart. Please consider a donation to help us help cats. It means so much to have the support of other caring people in our efforts on the front lines of the animal population crisis. We're hoping our site will inspire you to take action & become involved, more so if you already are! There is a serious feline over-population crisis in this country. Not only are there too few homes for tame friendly cats, but millions of homeless & abandoned cats are breeding in colonies in the shadows & corners of our cities & neighborhoods. Without human contact, these cats revert to their wild instincts & become feral. They struggle to eke out an existence behind restaurants & truckstops, in alleys & the woods, in cities, suburban & rural areas. They also have an impact on wildlife. Life is hard for these cats & is nothing like the life a pet cat enjoys. Hunger, illness, injury, parasites, predators, cruel people & traffic are daily battles for cats living in parking lots scavenging from dumpsters. Kitten mortality is estimated at 50%. When colonies of feral cats are removed by animal control, they are usually euthanized instantly because they are unadoptable. Including the kittens because they're competing with already-tame domestic cats for homes, millions of which are also put to death for lack of homes. Humans have got to take responsibility & get this cycle of suffering under control by preventing litters of born-homeless cats, by spaying & neutering their pets & by TNR stray/feral cats. It's a daunting task but it CAN be done! 1 - To help needy, unwanted & feral cats & animals by providing shelter, nourishment, medical care & lots of love. 2 - To find permanent loving homes for adoptable animals & to provide a permanent loving home for those who are not. 3 - To reduce euthanasia in shelters by spreading awareness of companion animal over-population, the importance of spaying & neutering & the plight of feral cats. 4 - To assist with local TNR efforts & respond to requests for assistance with feral cats. 5 - To improve the lives of animals by promoting responsible pet care, & advocating for the welfare & humane care of animals. 6 - To encourage acceptance of all living creatures as special & worthy of respect, protection & care. 2 - get 501(c)3 status - become an official non-profit organization! 4 - promote spay/neuter & adoption at cat shows, pet shops, etc. as well as "unconventional" locations, such as auto swapmeets, tradeshows, nightclubs, etc. via flyers & leaflets & "tabling". 7 - rescue & care for as many homeless animals as possible in our lifetimes!